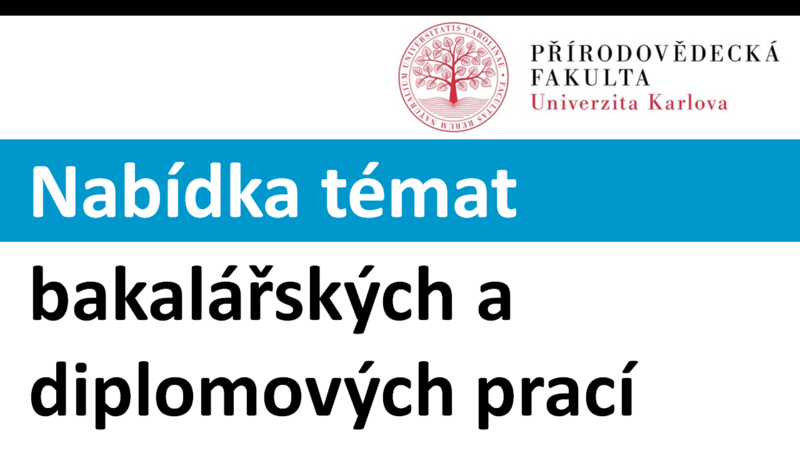 Professor of Physical Geography at Faculty of Science, Charles University in Prague. Head of Research Group of Hydrology, integrating hydrological research at the Department of Physical Geography and Geoecology, Founder and head of hyDRONE - research group aimed at research and applications of unmanned imaging technologies in hydrology and physical geography. The research focused on the impacts of landscape disturbance on runoff response and fluvial dynamics, the impact of environmental changes on the course and consequences of floods and changes of hydromorphological status of streams. Application of the hydroinformatic approaches and advanced field monitoring techniques; in particular hydrodynamic and machine learning models, automated sensor networks, applications of the UAVs (drones) and remote sensing for non-invasive surveying of hydrological processes. Applied research in risk processes modeling. Graduated from Charles University in Prague in Physical Geography (1993), studied at Universite de Paris 1 – Sorbonne (1991), University of Amsterdam (1993). PhD Thesis on Mathematical Modelling of Water Quality at Charles University in Prague (1999). Post-doc stay at Université de Strasbour (2001). Certificate in Professional Management at Open University Business School (2005). Associated professor of Physical Geography at Faculty of Science, Charles University in Prague (2010) - Geoinformatic analysis and modeling the risk processes in hydrology. Since 1994 member of the department, since 2000-6 scientific secretary of the Department of Physical Geography and Geoecology at Charles University in Prague, Faculty of Science, 2006-9 deputy head of the Department. Award of Faculty of Science for excellent results in research management and in pedagogical activities (2004). Vice Dean of Faculty of Science, Charles University, responsible for Geographical Departments and information technologies (2010-16). Since 2016 Vice Dean of Faculty of Science, Charles University, responsible for Public Relations and Information Technologies. More info on the personal webpage. Leading lectures on Floods and landscape (master), Applications of geoinformatics in physical geography (master), Water quality (master) and participating in lectures Ecology of freshwater systems (master), Modeling of physiographic processes (master). Lecture websites: Floods in Landscape, Geoinformatics in Physical Geography, Surface Water Quality. Leading PhD and Master students theses oriented in hydrology, water quality and modeling in hydrology. 7 Ph.D., 19 MSc and 20 Bc theses defended so far. Evaluation of specific pollution load in Berounka river basin (GAUK 211/2001 B GEO, 2001-04). KAIGLOVÁ, J., LANGHAMMER, J., JIŘINEC, P., JANSKÝ, B., CHALUPOVÁ, D., 2015. Numerical simulations of heavily polluted fine-grained sediment remobilization using 1D, 1D+ and 2D channel schematization. Environ. Monit. Assess., 187 (3) online first.IF = 1,679. LANGHAMMER, J., & RÖDLOVÁ, S., 2013. Changes in water quality in agricultural catchments after deployment of wastewater treatment plant. Environmental monitoring and assessment, 185(12), 10377-10393, IF = 1,679. LANGHAMMER, J., HARTVICH, F., MATTAS, D, RÖDLOVÁ, S., ZBOŘIL, A. (2012). "The variability of surface water quality indicators in relation to watercourse typology, Czech Republic." Environmental Monitoring and Assessment, (184) 3983-3999, IF = 1,679. LANGHAMMER, J., 2010. Water quality changes in the Elbe River basin, Czech Republic, in the context of the post-socialist economic transition. GeoJournal 75:185–198. LANGHAMMER, J, 2009. Applicability of hydromorphological monitoring data to locate flood risk reduction measures: Blanice River basin, Czech Republic. Environmental Monitoring and Assessment, 152(1-4), 379-392. IF = 1,679. LANGHAMMER J, KLIMENT Z , 2009. Water quality changes in selected rural catchments in the Czech Republic. Ekologia Bratislava 28:312–332.